The Durban University of Technology’s (DUT’s) Department of Information Technology and the DUT AppFactory hosted a three-day Hackfest or Hackathon recently. A Hackfest or Hackathon is an event in which programmers and others involved in software development, including interface designers, project managers, and others, collaborate intensively on software projects. The event was open to both professional developers and learners alike. The Hackfest attendees consisting of teams of five tackled business problems, following themes such as building applications for Education, building Internet of Things Applications, building Gamification Applications, and building Artificial Intelligence Applications. Teams pitched ideas in one or a combination of the four themes on building a facial recognition application to identify criminals, building a bot to interactively teach and assess students, building a tutoring application that connects students to tutors in real-time, and building a third person shooting game to teach learners to recycle. Attendees were supported and mentored by professional developers. Brendon Page from Chillisoft Solutions Services and Pivendren Naik from Facebook Developer Circle in Durban were the judges for the Hackfest and provided mentoring support throughout the event. A number of prizes were sponsored courtesy of Facebook Developer Circle: Durban, the office of the DVC Research, Innovation and Engagement and the department of Information Technology. “Entrepreneurship in education seeks to provide learners with the skills and motivation to encourage entrepreneurial success. Events like the Hackfest encourage learning, creativity and collaboration while providing the necessary opportunities for entrepreneurship to flourish,” said Sameer Sabjee from the department of Information Technology. Team 3 was placed second for their work on a real-time tutoring application. The system allows students to find tutors based on a skillset. The student has the ability to request assistance and support via real-time collaboration with a tutor. Team 2 was place in third place for their work on a tutoring and testing BOT (an automated application). The application allows students to request information on specific topics and get a response with associated learning material on the subject. When asked about the event, Nsusa said that he thought it was an excellent learning opportunity as it stimulated problem solving, collaboration and entrepreneurship. He also said that he looked forward to future hackathons. 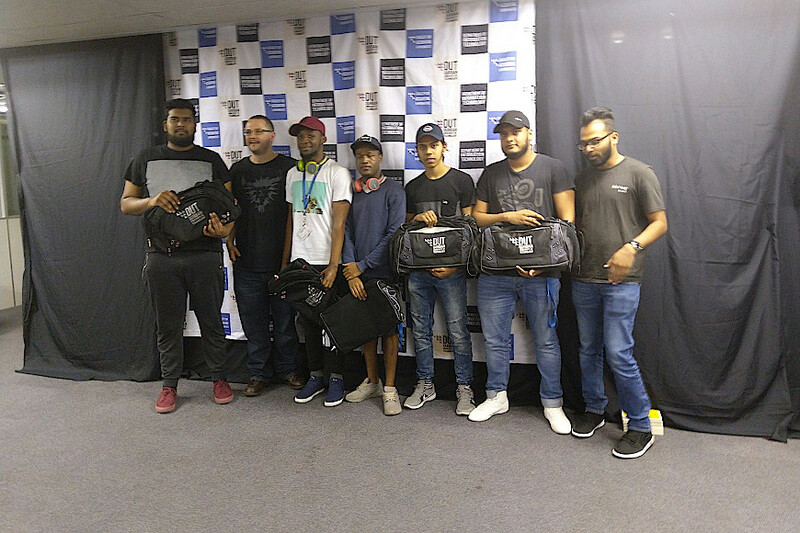 Pictured: Winning Team – Left to right – Mohammed Irfaan Sheriff, Brendon Page, Ally Nsusa, Thulasizwe Mkhwanazi, Mohammad Abbas, Bilal Hazaree, and Pivendren Naik.